“Artur Rodzinski was born in Split, the capital of Dalmatia on 1 January, 1892. 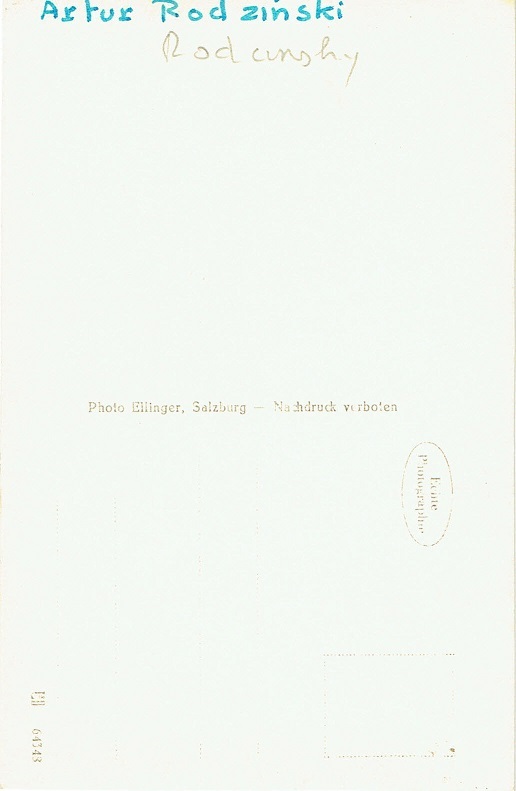 In Vienna, his teachers included Josef Marx and Franz Schreker (composition), Franz Schalk (conducting), and Emil von Sauer and Jerzy Lalewicz (piano). He returned to Lwów where he was engaged as chorus master at the Opera House, making his début as a conductor in 1920 with Verdi's ERNANI. The following year saw him conducting the Warsaw Philharmonic Orchestra and at the Warsaw Opera House. While visiting Poland, Leopold Stokowski heard Rodzinski leading a performance of Wagner's DIE MEISTERSINGER VON NÜRNBERG and exclaimed ‘I have found that rare thing, a born conductor!’ and invited him to conduct the Philadelphia Orchestra. Between 1925 and 1929 he served as Stokowski's assistant, conducted for the Philadelphia Grand Opera and directed the opera and orchestral departments at the Curtis Institute of Music. From 1929 to 1933, Rodzinski became the music director of the Los Angeles Philharmonic, garnering praise not only for his interpretations but for his innovative programming. From 1933 to 1943, he was music director of the Cleveland Orchestra, developing it into one of the foremost orchestras in America. He engaged new musicians and raised the playing standards to a very high level. His programs were innovative, offering works such as the first performance in America of Shostakovich's opera LADY MACBETH OF THE MTSENSK DISTRICT, which gained the orchestra national attention. Between December 1939 and February 1942, Rodzinski and the Cleveland Orchestra made an extensive series of recordings for the Columbia Records label. During this time he appeared with the New York Philharmonic in 1934 and 1937, when his concert performance of Richard Strauss' ELEKTRA aroused great enthusiasm. 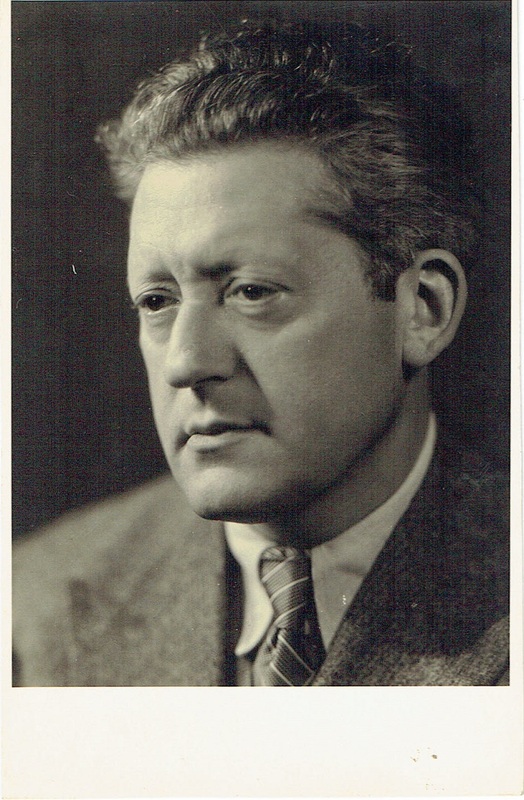 Rodzinski was also active in Europe, becoming the first naturalized American citizen to conduct the Vienna Philharmonic at the Salzburg Festival in 1936 and 1937. At Arturo Toscanini's recommendation, Rodzinski was engaged by NBC to select the musicians for the new NBC Symphony Orchestra. He rigorously trained the orchestra and conducted its first concerts in 1937, before the arrival of Toscanini. Rodzinski was appointed music director of the New York Philharmonic in 1943. Though his four-year tenure was marked by considerable acrimony with Arthur Judson, the powerful manager of the orchestra, Rodzinski achieved high standards of performance. The renowned music critic and composer Virgil Thomson wrote about Rodzinski's tenure at the Philharmonic: ‘We now have an orchestra that is a joy to hear...and we owe it all to Artur Rodzinski’." During Rodzinski's time on the podium the Philharmonic recorded extensively, again for Columbia, performed weekly live broadcasts on CBS Radio, and appeared in the feature film CARNEGIE HALL. Despite, however, the quality of the orchestra's performances, numerous artistic matters such as the prerogative of the music director to dismiss musicians, select soloists and determine repertoire were persistent grounds of contention. Not willing to compromise on these matters, Rodzinski resigned in 1947. His reputation as a conductor was so prominent at this time that his resignation was the subject of a cover story in TIME MAGAZINE in February 1947. The Chicago Symphony Orchestra had been wooing Rodzinski for some time and now he decided to immediately accept the leadership of that orchestra starting with the 1947-1948 season. Here again, an inability to work with the board resulted in his swift departure after only one season. His short tenure still had a significant impact upon the orchestra and local audiences through performances such as a legendary account of Wagner's TRISTAN UND ISOLDE with Kirsten Flagstad. After his departure from Chicago, Rodzinski's health began to deteriorate. There was little recording activity available to him in the U.S. and he settled in Europe once more. Here, his status as a major musician was recognized and he was invited to lead significant productions, such as the 1953 first performance of Prokofiev's WAR AND PEACE at the Maggio Musicale in Florence, as well as traditional repertoire works. He conducted at La Scala and also worked extensively for Italian radio, conducting well received readings of Wagner's TANNHÄUSER and TRISTAN, and Mussorgsky's BORIS GODUNOV and KHOVANSHCHINA. He re-established his presence as a recording artist through a contract with Westminster Records, for whom he recorded extensively with Royal Philharmonic Orchestra in London from 1955. His final recordings were for EMI in 1958.